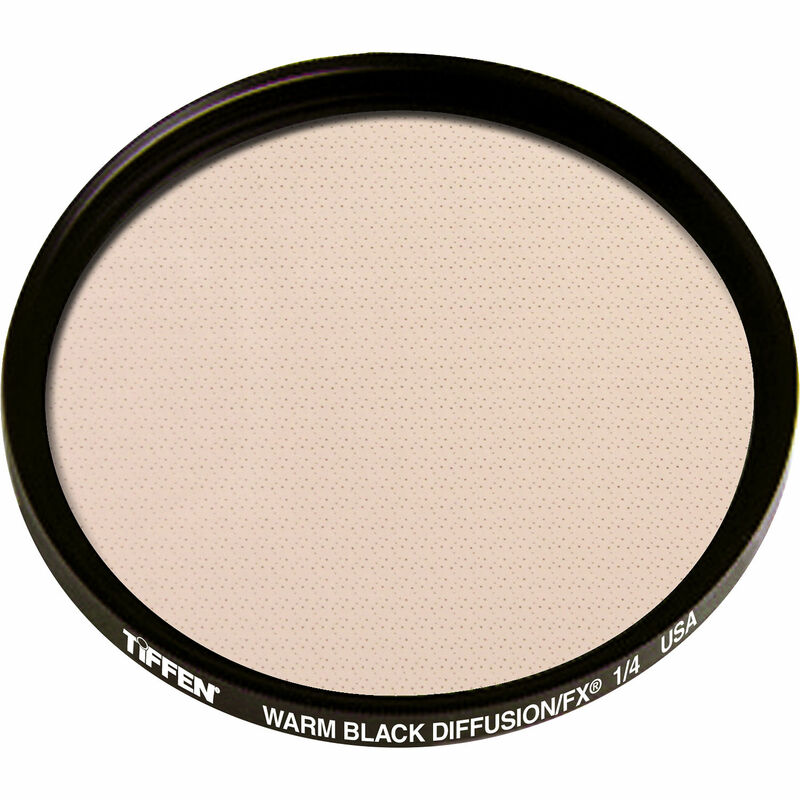 The Tiffen 95mm Coarse Thread Warm Black Diffusion/FX 1/4 Filter diffuses strong light entering the lens and produces a glowing effect. While the resulting image appears softer and ethereal, there is little loss of clarity or detail. This filter works by diffusing the light entering the lens with small aberrations; by spreading the light more evenly, a soft glow is created rather than the sharp, well-defined image when shooting without a filter. In addition to the diffusion provided, a warming effect is also integrated into the filter helping to further balance skin tones. This filter has a 1/4 density, providing a very subtle amount of softening. Box Dimensions (LxWxH) 5.984 x 5.591 x 1.26"